We offer Facebook marketing campaigns as part of our SEO and advertising services, which are really good for driving targeted traffic and visitors to your site. We can recode part of your website so that any new posts you make get automatically fed onto your Facebook and Twitter pages, so no effort is required to maintain or post onto these sites. This way, you get a social presence and receive passing ‘organic’ traffic with no ongoing costs. We also offer design services for your Facebook advert so it stands out from the crowd. We can then deploy these adverts onto Facebook’s system for you and explain the tracking system used to monitor your advert’s performance. The adverts can be paused at any time or switched to a new campaign. 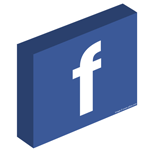 Please contact us for more information about Facebook marketing and advertising.